The U.S. Attorney’s Office will be holding two trainings/conferences on Saipan in line with the Attorney General’s “Smart on Crime” initiative that called for a comprehensive review of the criminal justice system in order to identify reforms that would ensure federal laws are enforced more fairly and efficiently. At a press conference on Friday, U.S. Attorney for the Districts of Guam and the CNMI Alicia Limtiaco said the 2nd Annual “One Community CNMI” Conference: Earning Freedom and Reentry will be held at different venues on June 29 and 30, 2016. Limtiaco said the 2nd Annual “One Community CNMI Conference: Employment and Reentry—Connecting Employers and Their Employers with Government Opportunities, and a Community Stakeholders Training will be held at Kanoa Resort Saipan in Susupe on June 30, 2016 from 8am to 5pm. Limtiaco said the two conferences are an outcome of last year’s “One Community CNMI” Conference: Engaging Community in Crime Prevention, Strengthening Protection for Vulnerable Population and Reentry Efforts Through Workforce Development Strategy. Last year’s training promoted community collaboration and cooperation consistent with the initiative’s goals, including bolstering prevention and reentry efforts to deter crime and reduce recidivism, and strengthening protections for vulnerable populations. Limtiaco said as a result of last year’s conference, they had a working group that was formed to talk about the recommendation or next step. 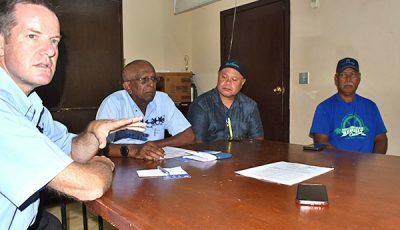 Limtiaco said with the first conference “Earning Freedom and Reentry,” the June 29 and 30 training are not open to the general public and will be conducted with the Department of Corrections, Superior Court, Division of Youth Services, and the U.S. District Court for the NMI. Limtiaco said Santos, who is a prison consultant, is an ex-offender who had been convicted of a federal crime and was sentenced to 45 years imprisonment, but served 26 years of that 45-year sentence in federal penitentiary. Limtiaco said during that time, Santos underwent self-reflection and was able to get himself formally educated within the confines of the prison. “So when we talk about re-entry program we are referring to program that are established in our federal and or state correctional institution that are there to help prepare those that are incarcerated and who are completing their terms of incarceration to be able to reenter society, reenter our community,” she said. Limtiaco said this reentry program has been implemented in other federal and state correctional institution in the U.S. mainland and is going to be introduced in the CNMI. She said they have been working with the Department of Corrections, Division of Youth Services, Department of Labor, local and federal courts, and other community stakeholders for the June 29 and 30 training on this reentry program. Such training will be conducted for adult and youth corrections staff, including corrections officers and case workers, social workers, and medical and mental and public health professions, working within or associated with the correctional institutions; law enforcement/prosecutors; public defenders/defense counsel; pretrial officers; probation officers; parole officers; and other related professionals working the criminal and juvenile justice systems. Division of Youth Services administrator Vivian Sablan said their role in this project with the U.S. Attorney’s Office is to make sure that they intervene early and take care of obstacles that they need to address with the youth and adults that are entering the system who are characterized as at risks. “So early prevention is the key. What we do is we try to stabilize by providing services from the moment they get in the system. And that means we address their school needs so we have healthy transition between us and when the kids go back to the schools,” she said. Sablan said they also address mental health services upon entry, and then from there they work with other support programs that are coming in from the community. Juvenile Probation Supervisor Sylvio Ada said the main thing is the education portion, which is the primary component of the rehabilitation. “As part of the probation condition, not just recidivism but we are trying to prevent them from graduating to adult crimes, adult facility,” Ada said. Ada said there are two objectives—make sure that they don’t return back into the system as juvenile and to make sure that they don’t graduate into as adult offenders. Labor Secretary Edith DeLeon Guerrero said at the end of the day, if people will look at the situation that they are facing, there is a serious drug issue in the Commonwealth. “The foundation of the child begins at home,” DeLeon Guerrero said. 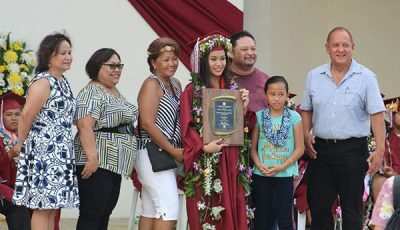 She said it is very essential that the network of professionals in the community, be it employment and training, the Labor Department, DYS, the Disabilities Council, the education sector, the Northern Marianas College, everybody within the state workforce system at the state level and federal level, everybody’s role is important to the client population that they are serving, whether the youth population or the adult population. 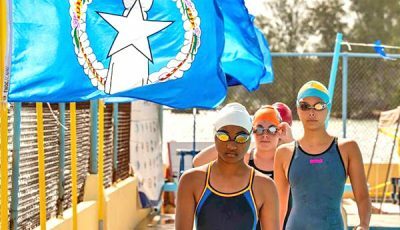 “We don’t want a neighborhood of children growing up in some villages on Saipan and they are surrounded by drug dealers. I heard this a lot. Yes it’s true,” Deleon Guerrero said. The Labor secretary said it’s very sad that children are living in a community in a small island and they don’t feel safe to step outside their door because someone is doing drugs next door and they don’t want to talk because their life could be in jeopardy. “We need to take back control of this community,” she said.